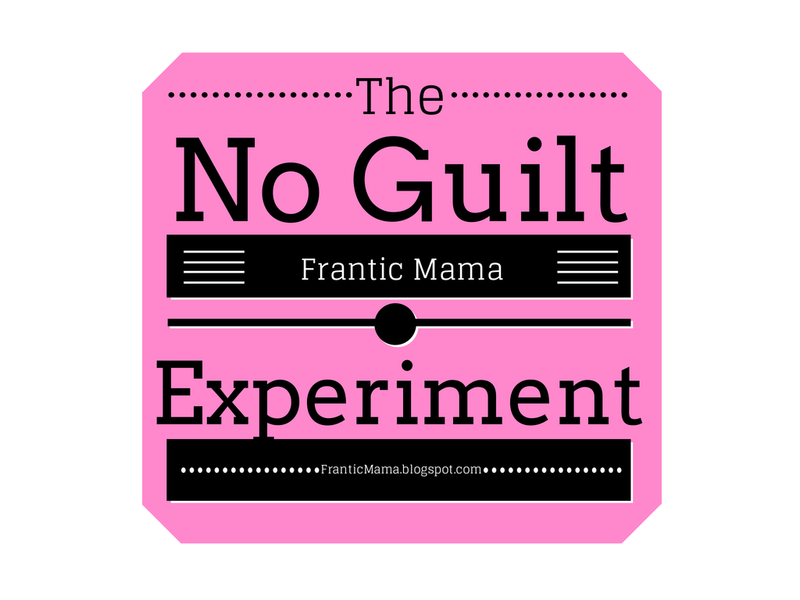 Nothing can prepare you for the amount of guilt you will likely feel once you become a mom. Virtually every decision or choice you face will come with it a heavy dose of guilt. Guilt is probably the major source of negativity in my life. This is interesting, considering guilt is a self-imposed feeling. No one is saying to me, "Feel guilty! Feel really, really bad about x-y-z!" It is all in my mind. What would life-- even just for a day or a week-- be like if I mindfully attempted to "shut down" the guilt center of my brain? Summer is a less structured season in our home, which is both positive and negative for a stay-at-home mother of a 4 year old and a 1.5 year old. There aren't many places you need to get to "on time," which is nice, but, well, that means there aren't many places [i.e. 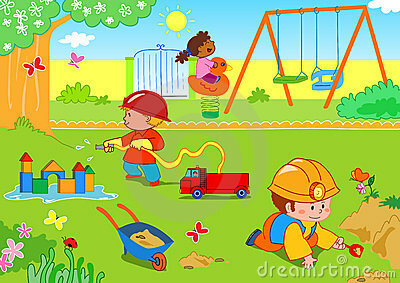 preschool] one needs to be. It seems like the right season for a little Guilt-Free Experiment. 1. T.V. for the kids. The AAP recommends no more than 2 hours of screen time for kids older than 2 (and NONE AT ALL for kids under two). 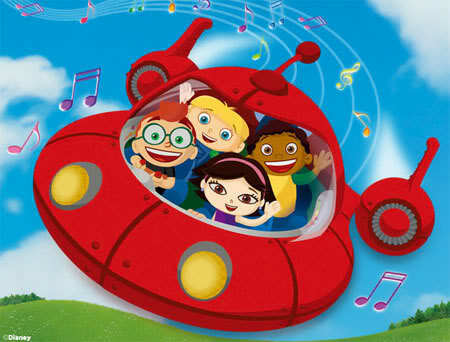 I tend to feel guilty just about any time I turn on a show for my kids. Why? Did I not watch Sesame Street growing up? I was a good student. I read constantly. I liked school. I also liked t.v. I shall try NOT to feel guilty this week when I turn on Dora for the kids so I can take a breath. 2. One thing I try to do when my kids miraculously settle down for a 20 minute show is work on my computer. I would love, love, love to write more every day, but because being a SAHM is my main job right now, I simply can't devote as much time to writing as I would like. I am determined NOT to feel guilty this week if I use some time this week to write if my kids are occupied, whether it be with a show, a babysitter, my husband, etc. 3. I'm starting to think everyone loves taking their kids to the park more than I do. Almost every mom I know asks if we want to 'meet them at the park.' Sure, in theory, that would be great. Could we sit on a bench and sip iced tea while our kids gleefully play on the monkey bars? No. I would be in a sweat chasing mine around while they run in opposite directions; my son would surely throw a fit about something seemingly inconsequential to everyone else, and my daughter would fall down at least 5 times. I would be ready to leave in about 10 minutes. This week I will NOT feel guilty for not spending inordinate amounts of time at a park. 4. My son is doing a 2 morning a week summer camp this summer, where he spends about 2 hours outside playing games with kids his own age led by energetic, young counselors. Yes, he gets nervous separating from me. Yes, I worry about him the entire 2 hours. And, yes, I dutifully drop him off those two mornings a week, feeling the guilt physically as an ever-present nervous pit in my stomach. However, a little voice in my head tells me that he NEEDS to be around other kids. He NEEDS to separate from me and his baby sister from time to time to develop autonomy and self-confidence. Therefore, I will try really hard NOT to feel guilty this week when I drop the little guy off at camp. 5. Similarly, because SAHM's do not have lunch breaks or the ability to duck into Target or the doctor solo on a Wednesday afternoon, I occasionally have our beloved babysitter spend a couple of hours with my kids so I can write, check my e-mail, go to the grocery, or even go to the dentist (what luxury, right?). I will try NOT to feel guilty about this. Because, again, perhaps it is good for the kids and me to get a little breather from each other now and then. I could go on, trust me. I am sure there are many other sources of guilt in my daily life. But let's start with these 5, shall we? Post-Experiment Update: Giving myself permission to relax a bit that week was truly helpful. In giving myself the gift of some time to myself, I was able to restore my energy reserves, and I ended up doing more fun things with my kids than I usually would. The experiment was well worth it. P.S. I'm on Mamalode with my piece on What to Expect When Visiting a House with Young Kids. Check it out if you have a chance, and if you can, please like it, share it, pin it, etc.! Thank you!